Most cats love laser pointers. 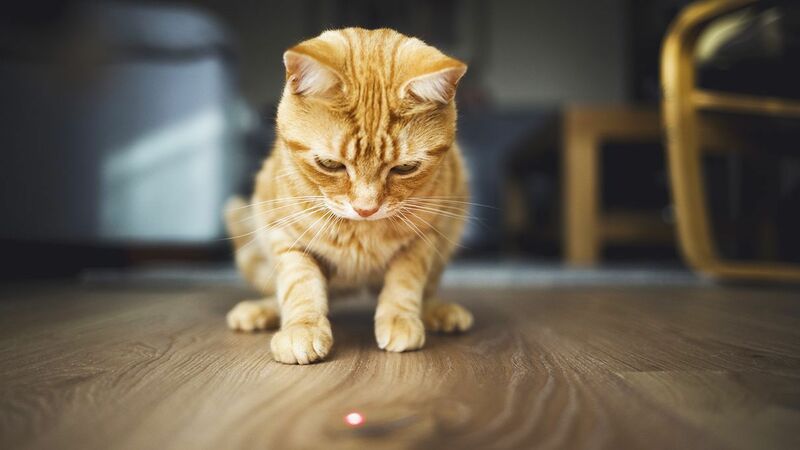 You can press the button and let the red laser land in a pinpoint on the floor, or the wall...just out of reach of your cat, and watch him pounce. It’s entertaining to watch and it’s entertaining for your cat. They’re not so good, however, for your dog. But first, let’s look at how they benefit your kitty. One big benefit is increased physical exercise. Considering the typical domestic feline’s exercise routine consists of moving from napping spot to napping spot, they may need a bit of encouragement to incorporate exercise into their routine. That’s where the fast moving light can prove beneficial. As you know, kitties are natural predators and love capturing things. The laser pointer provides an outlet for your normally sedentary kitty to have fun chasing and batting about the moving dot. light the cat will resume its normal activity quickly," explained North Elm's Dr. Sims. Another benefit is mental stimulation. Many cats stay home alone most of the day, without a lot of stimulation or activity. Cat laser pointers can provide key stimulation and keep them from becoming overly bored. The laser beam bounces off the wall, the floor, even your kitty itself, mimicking fast-moving prey. It can provide plenty of fun for your cat, but not so much fun for your dog. Most cats are likely to grow bored with chasing the laser pointer after a few minutes. But for your dog, it triggers something deeper. "The lack of closure in laser-beam chasing could be messing with your dog’s head," according to Dr. Nicholas Dodman, animal behavior expert and professor at Tufts University’s Cummings School of Veterinary Medicine. Dodman explains that your dog instinctively chases laser beams simply because they move. Movement triggers a dog’s innate prey drive, which explains why smaller prey animals often freeze in their tracks. Dogs have a highly-developed ability to detect motion with their eyes. 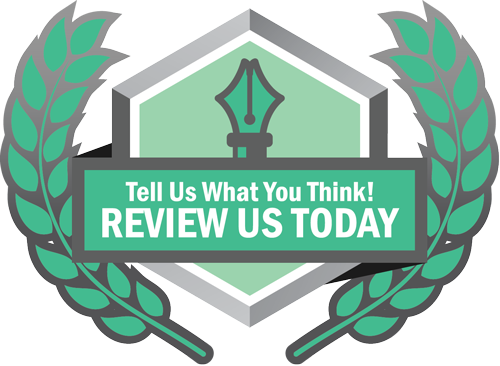 Applied Animal Behaviorist and Certified Dog Trainer, Karen B. London Ph.D concurs. “A lot of dogs become obsessive about the light from laser pointers, and there are many cases of dogs who were diagnosed with obsessive-compulsive disorder after (and perhaps partly as a result of) this activity. Dogs become preoccupied with the light, then transfer that interest to similar stimuli, sometimes developing a behavior problem in which they chase lights and shadows. It may look fun and entertaining to people, but it’s usually anything but fun for dogs.” She also says that working dogs like bomb-sniffing dogs require a “win” to stay happy in their jobs. Essentially, they thrive on closure, and laser pointers never provide any which is frustrating for your dog. So now that you know how laser pointers affect dogs vs. cats, if you have a multi-breed household, you may opt NOT to include laser pointers out of respect for your pooch. Also, if you do play with a laser and your cat, one last reminder about laser pointers from Dr. Sims: "NEVER point them toward the eyes of pets or people. They can cause serious injury." What are some of the alternatives? For your cat, there’s always toys stuffed with catnip, poles with toys on the end that you can move around, feathers and string. For your dog, there’s fetch, different types of balls, and chew toys. While the types of activities your dog or cat will enjoy are partly based on their age and breed, the important thing is to engage your dog or cat in some sort of physical activity on a daily basis. It helps prevent boredom, gets them moving and keeps them healthier. If you’d like to discuss types of cat toys or the benefits of laser pointers for cats, please schedule your appointment here.